"Fathers day or Graduation card." 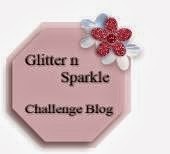 and it was simple, with this fab "stacking pots" image! colour (with my promarkers) and decoupage the pots. as are the gardening tools. This card is going to go to my Father in Law for Fathers day. He loves his green house, and little allotment-like garden! 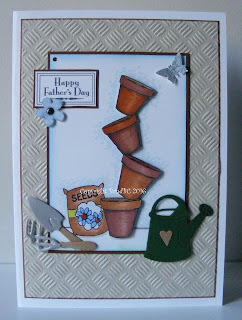 A great card - love all the gardening items, it's just the sort of card my father would have liked. very nice! Thanks for joining us at CCC Digi Creations. Good luck. 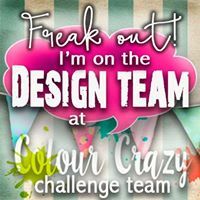 Love your take on the Tools of the Trade challenge--thanks for sharing at Scribbles Designs challenge blog. 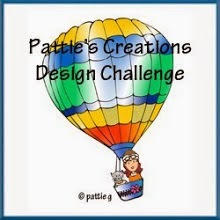 Thank you for joining us at Scribbles Designs Challenge.... good luck and we hope to see you at our next one! Love this card! I like the metal impression in the background. Also like the water can, I would like to have that one! Great card Vicky! I love all the embellishments and the way you colored my image.